I think my friend Kriskor said it best in a comment that he made around the 65th minute or so of the match: “The problem with not scoring even though we were better is that they might score and we might lose the game.” Perhaps it seems obvious, but it was not obvious to our team. For a side that is supposed to be possession-based and attack-minded, they kind of got the first part right, with a record 64% possession for one of Montella’s games. But without the latter, the possession was once again meaningless, and the scoreline became a trauma. Let me start by saying the real trauma was to Antonelli. In the 49th minute, there was a terrible collision, it looked like he collided poorly with Paletta. He went down, and it was one of those “something is seriously wrong, he is not moving” kinds of moments that makes you sick to your stomach. The medics took great care and a lot of time to get his head, neck, and back stabilized off of the pitch, which only added to the concern. The only statement from the club afterward was that he suffered “cervical trauma,” and though he remained conscious, he was going to be staying at the hospital. Above the result and all else, my thoughts go out to him and his family. Let’s hope all of the precautions are just that and he is up and running again soon. Now back to the psychological trauma. There were bright spots. Suso seemed to want to singlehandedly save the day (or everyone else was so poor maybe it just seemed that way.) He continues to be brilliant both in work ethic and talent. His new pal Sosa also did not get the meaningless possession memo that everyone else did. He nearly took out the crossbar in the 33rd, and showed why he’d had the most assists in the Turkish Super Lig last year, too. But even those two, surrounded by the quagmire of their teammates, faded well before 90 minutes. 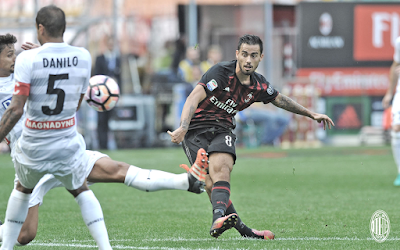 Bonaventura gets an honorable mention in the “what’s good” section, even if he had some questionable moments by game’s end. 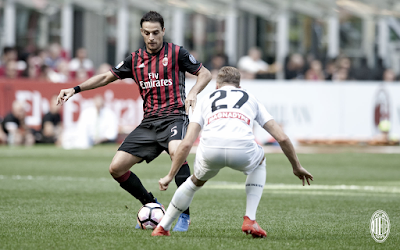 Probably Milan's most consistently good player for a long time now. Everything else… I mean read any of the reviews from this summer forward and you can guess what happened. It's the same old story. 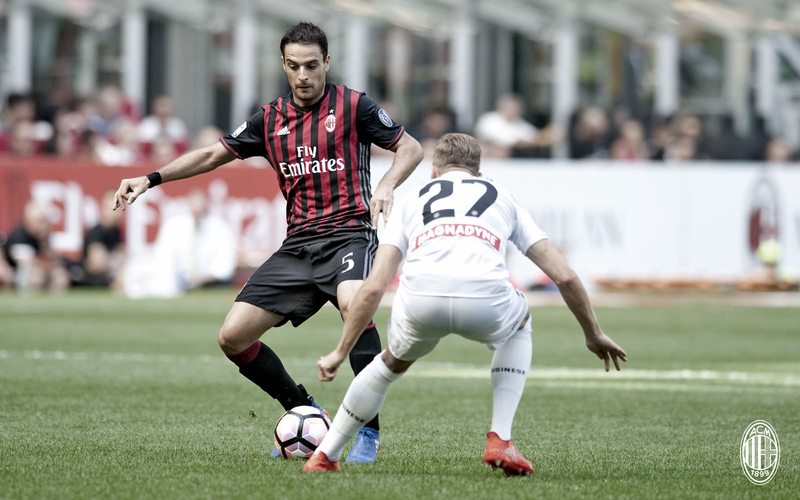 I suppose I may as well mention that De Sciglio came on for the injured Antonelli in the 53rd. Then again with Montella's late subs, Honda replaced Sosa in the 79th, and he actually did pretty well. Lapadula got another five minutes, replacing the “why did he start…wait, why is he still here?” Poli in the 85th. With late subs and missing Niang and Kucka due to suspension this match, this match went from “doing things the hard way” to “we just lost to the team that barely escaped relegation in May.” This match should have been totally winnable. You can point to stamina, mentality, quality of players, learning a new system/style of play, and missing pieces due to injury and suspension. But at the end of the day, the scoreline still credits Udinese. They may have won the game, but it is difficult to argue that they were the better team, at least for most of the match. In the end, perhaps it was Udinese's stamina & mentality that won it. Or at least their attack-mindedness. 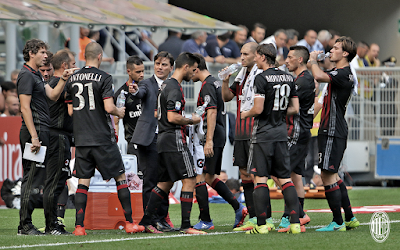 Milan took 14 shots, with two on goal, whereas Udinese took ten shots, also with two on goal. However one of those shots gave them all three points, and at the end of the day, that’s what history will show. You can have as much possession as you like, but in the end, scoring the goal is the most important thing. So credit to Udinese for sure. And hey, on the bright side, we didn’t get any red cards. So that’s improvement, right?